United Airlines has launched new MileagePlus buy & gift miles at up to 85% bonus sale that is valid through March 1, 2019. There can be better personalized offers for up to 100% extra (check). United Airlines has promotions every month for buying miles, but they all max out at a 100% bonus or a 50% discount (exactly the same offer because United usually limits the number of miles one can purchase per year including any possible bonuses to 175K – new higher limit). United Airlines seems to be back to its old dirty tricks that it mastered in the early 2000’s during both bankruptcies – blocking award space on partners. Awards on Thai Airways, Singapore Airlines and TAP have now been unavailable for weeks (read more here). ANA was just added to this ever-increasing list of non-award airlines yesterday. 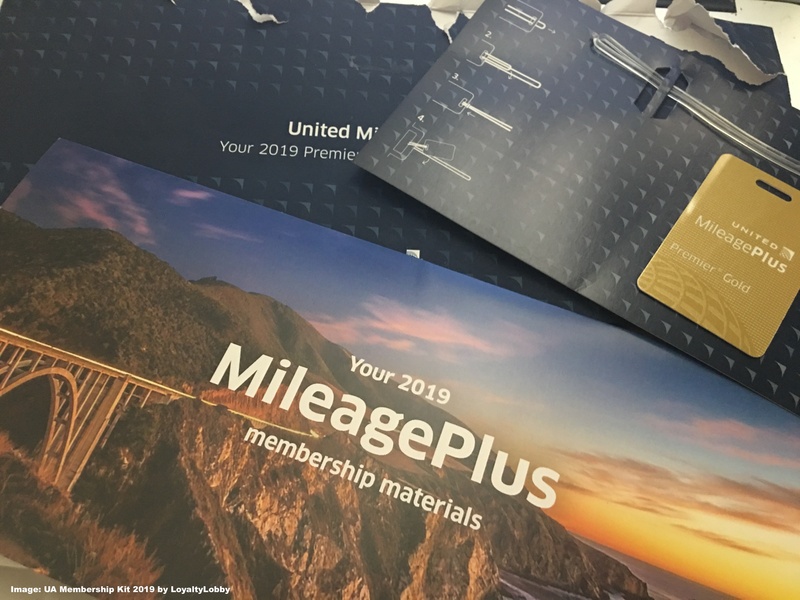 United Mileage Plus has shipped out their membership kits for 2019 and apparently saved themselves the hassle of sending any membership cards, instead they included just one tiny baggage tag. Not sure if this is an error or by design but it seems to be extremely strange that United would go through the hassle of sending this useless luggage tag around the world but no actual membership card. United Airlines launched last year MileagePlus promo called Mile Play trying to get select members to spend and fly more. They have had these offers every few months and just launch a new one for February. These promotions are tailored to each member based on his/her recent activity with United. It may require buying more business class tickets or flying certain number of trips before March 10. United Airlines has launched MileagePlus award discount campaign to French Polynesia for travel between March 26 – May 30, 2019. Members can save up to 40% off in economy depending on their MileagePlus status and whether they have Chase United affiliated credit card. Today’s Airfare of the Day goes to United and their premium economy round trip fares between New York and Berlin, on codeshare flights operated by Lufthansa. United Airlines Mileage Plus has started to send out emails to their members that didn’t qualify for their current status or are close to obtaining the next status level, soliciting 2019 membership upgrades for cash. This promotion has been an annual event with Mileage Plus for the last couple of years (similar to many other programs) and prices are going up and down all the time based on a variety of factors. United Airlines leadership team appears to understand that they have an issue with customer satisfaction (don’t all US legacies?). Now, United’s leadership has decided to turn the service/experience around and make sure customers feel it (I am starting feel scared at this point – don’t want to get hurt). United Mileage Plus has put the brakes on their members who wish to redeem their miles on Singapore Airlines or Thai Airways as both carriers aren’t able to be ticketed until further notice. According to United agents there is an internal memo that effective January 15th the program has ceased accepting reservations for both carriers which is a huge blow to members who wish to travel in Asia. United Airlines has launched bonus miles campaign to drive bookings for their flights between Newark and Mexico City. 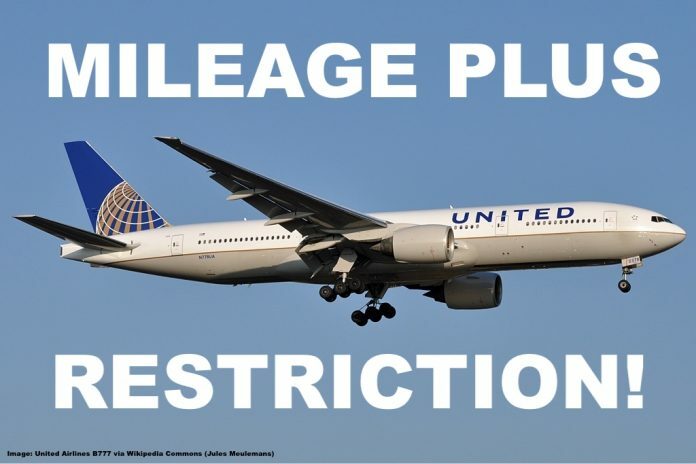 MileagePlus members can earn five bonus miles per USD charged (including connecting flights) through May 31, 2019 as long as there is EWR-MEX or MEX-EWR segment on the itinerary and the ticket issued on United’s stock. United Airlines has launched new MileagePlus buy & gift miles at up to 70% bonus sale that comes with sweepstakes through February 1, 2019. There can be better personalized offers for up to 100% extra (check). United Airlines has promotions every month for buying miles, but they all max out at a 100% bonus or a 50% discount (exactly the same offer because United usually limits the number of miles one can purchase per year including any possible bonuses to 150K). Today’s Airfare of the Day goes to United Airlines and their shoulder season midweek premium economy class sell-up round trip fares between Los Angeles and Hong Kong, that can be routed via Japan on ANA codeshares. 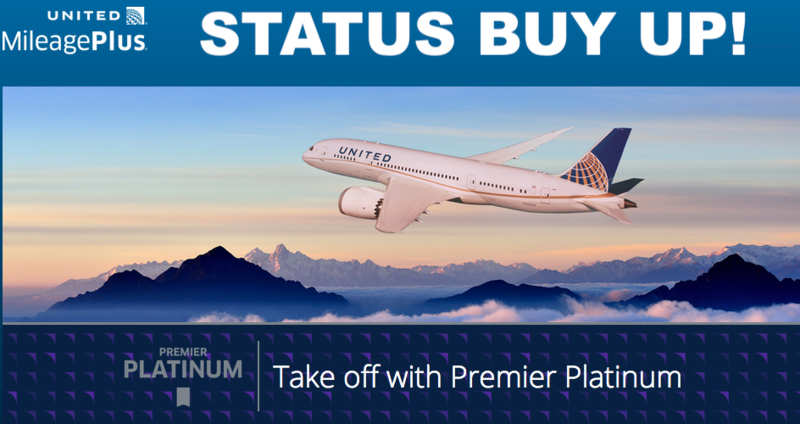 United Airlines has extended its MileagePlus Premier Status Match Challenge for 2019 that allows elite members from non-Star Alliance programs to match their status for 90 days and keep it by competing a challenge. Members that meet the PQM or PQS requirement of this challenge on/or after July 1, 2019 have their status through January 2021. Those that earn before have their status expire in January 2020.